Years ago, secrecy was the best practice when it came to adoption records. "And as a result of that," said Scot Hines, program specialist-adoption search for Family Design Resources, "people were left without knowing what their story was, even their nationality." 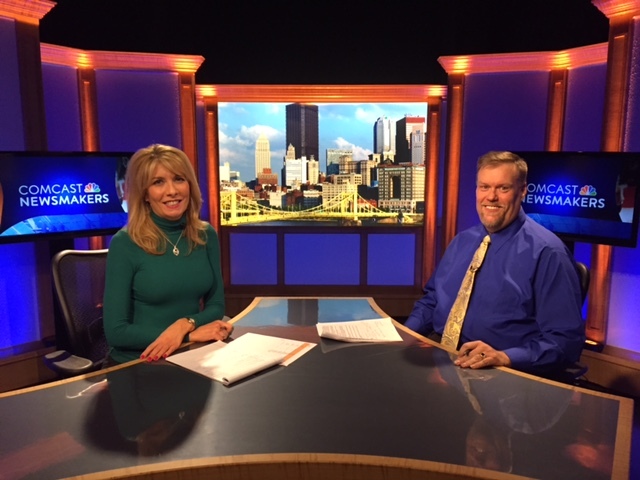 Scot joined Comcast Newsmakers and host Tonia Caruso in Pittsburgh to discuss Pennsylvania’s Act 101 of 2010, which made it easier for families affected by adoption to maintain or regain contact without the need for an attorney, court hearing or court order. Act 101 reflects a movement across the United States toward more openness with adoption records. "Because there's nothing to be ashamed of," Scot said. "There's no reason to keep the secrets." Yet the public -- and to some degree agencies and courts -- is still getting familiar with Act 101. It used to be that only adopted individuals could request information or searches. "And now pretty much anybody who's been touched by adoption can request that information," Scot said. "People want to search so they can find their story, find the missing pieces to their story," Scot said. "Some of them want to find an individual, but most of them are looking for those missing pieces, the early parts of their life." It might be as seemingly insignificant as the first time a baby ate strained carrots and spit them out. That person can see a connection to his or her adult self. "And they'll say, 'Oh, I still don't like carrots,' " Scot said. Scot has first-hand experience with families reconnecting through Act 101. He offered the story of a birth father and the son he had not seen in 20 years, the father describing the day his son was born and holding the baby. "And that is life-changing for everybody," Scot said. Caruso asked how people who want to reconnect with their birth families might go about it. If they know the agency that was involved in the adoption, they can contact the agency directly and ask that a search be conducted by an authorized representative, Scot explained. Or they can approach the county if they know where the adoption was finalized. "If they don't know any of those things," Scot said, "they can give us a call and we'll help them figure it out." To view the entire interview, click here.